Rizzle Kicks have really been making a splash in UK as of late, following both ‘Prophet‘ and ‘Down With The Trumpets‘ receiving airplay in the mainstream arena, most notably on Radio 1 where ‘Down With The Trumpets’ have been a firm favourite of resident DJ and UK fashion princess Fearne Cotton. Moving from strength to strength, the fashion conscious duo comprising of front man Rizzle and guitar playing harmoniser Sylvester have been gathering momentum and are playing at a plethora of festivals this summer as well as supporting Dizzee Rascal in Ibiza later this month. Their most recent video, an acoustic cover of Katy B’s ‘Katy On A Mission’ was released earlier today, putting their own spin on the track, similar to their version of Jessie J’s ‘Price Tag‘ which was added to their resume of impressive tracks earlier this year. 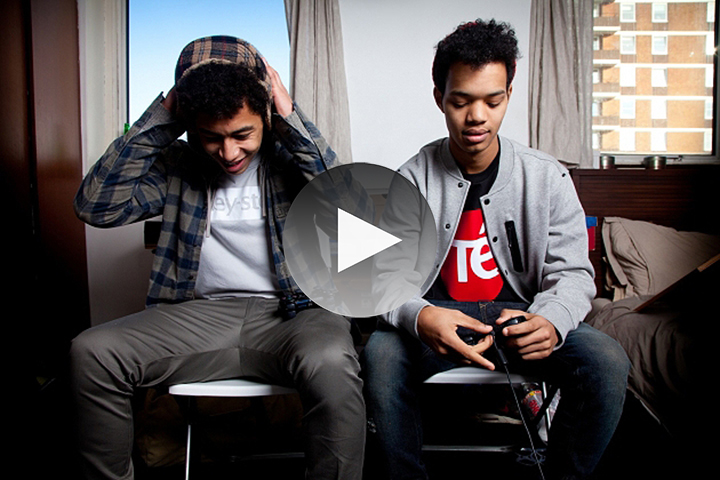 Check the video below, an A64 for SBTV, as they put their own Brighton twist on the track. Singer is really talented. ditch the other idiot. NICE ONE BOYS… ABOUT TIME THE UK HAD SOME SORT OF “COOL KIDS” INSPIRED DUO! Nice video from SBTV and Rizzle have been working hard to get where they are now, both rising stars. i completely rate this video but is it only me or is this guy really singing or just saying the words?